“Elements of a slow civil war” are evident in present-day Ingushetia, according to Ruslan Aushev, the former president of the North Caucasus Republic. Speaking on the Ekho Moskvy radio station, Aushev commented that the news coming out of the region were reminiscent of “reports from the front-line.” The primarily Muslim republic has seen a surge in violence in past months, as insurgents clashed with local law enforcement and Federal armed forces accused of heavy-handed repression by human-rights activists. Aushev, who served as president from 1992 to 2001, said that law enforcement authorities, public servants and ordinary residents in the region were all coming under fire. Attacks on state officials and kidnappings of ordinary citizens, allegedly at the hands of counter-terrorism troops, have spiked in recent months. The latest outburst from Ingushetia was an assassination attempt on Ingushetia’s interior minister, Musa Medov. 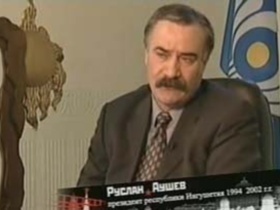 Aushev did not connect the bombing attack with a blood feud over a slain opposition leader, but did not exclude the possibility that it was related. Meanwhile, Ingushetia.org reported that Ingush president Murat Zyazikov gave a coarse order to the republic’s radio and television broadcasting center to block Ekho Moskvy’s signal into the republic for the duration of Aushev’s appearance. Ingushetia.org is a copy of the independent Ingushetiya.ru news portal, whose domain name was revoked by a court order, and which has had increased problems with operating in the republic. Read further background on the situation in Ingushetia from ReliefWeb.